North Sumatra Province is located at 1 ° - 4 ° North and 98 ° - 100 ° East Longitude, it’s breadth of 72981.23 km². The east coast is the fastest growing region since the infrastructure is relatively more complete than any other regions. Eastern coastal region has also more densely population compared to other areas. In the Dutch East Indies of colonial era, the region was including in the residentie Sumatra’s Oostkust along with Riau province. North Sumatra is a province in Sumatra Island that is visited by many tourists. If a place visited by many tourists, it means that in that place there is an attractive tourist destination. What are they? 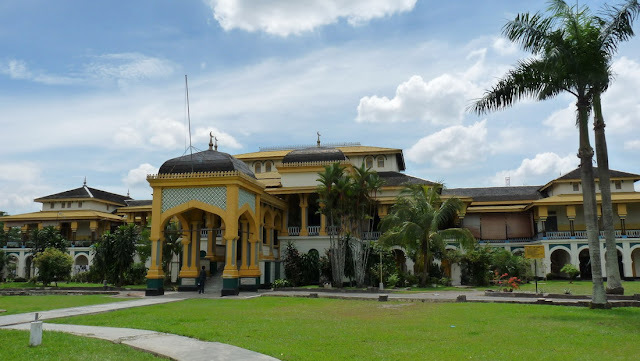 Maimun Palace which is now become an icon of the city of Medan, North Sumatra is a relic of the Royal Deli. Since 1946, the palace was inhabited by the heirs of the sultanate of Deli. Palace of more than 2,700 meters has more than 30 pieces of the room with an interior design that is a blend of Malay culture, Islamic, Spain, and Italy. In addition to take pictures in this historic building, visitors can also see the Old Dutch furniture collection, a collection of photographs of family the sultan, and the collection of all kinds of weapons. Sipiso-piso waterfall located close to the Tongging village, North Sumatra. 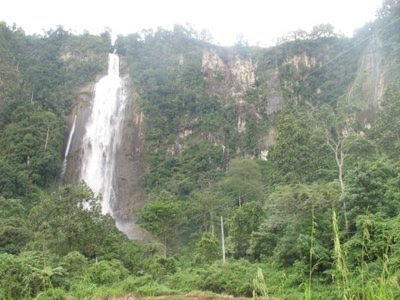 Sipiso-piso waterfall was managed as one of the tourist attractions in North Sumatra by the Government of Karo Regency. The word “Piso” comes from the knife because of the swift waterfall is like a sharp of the knife. 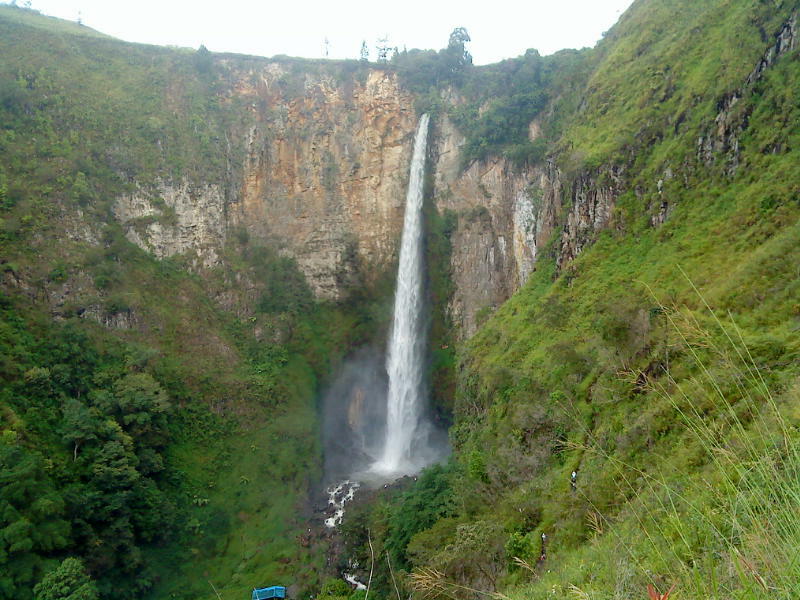 Sipiso-piso waterfall is one of the highest waterfalls in Indonesia. Great Mosque of Medan is located in Medan, North Sumatra was built in 1906 in the style of a mix among the Middle East, Spain, and India. 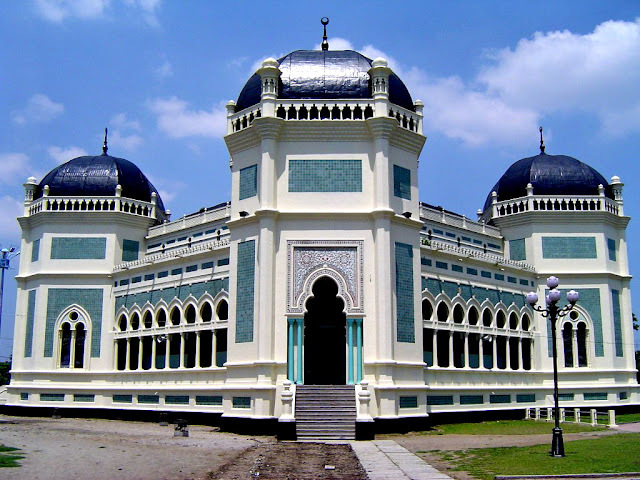 Great Mosque of Medan is very easily found by tourists who are attracted by the elegance of Great Mosque of Medan. Toba Lake is the most famous lake in Indonesia because of its large size and unique form where there is an island in the middle of the Lake. With a length of about 100 KM and and a width of about 30 KM, Toba lake is the largest volcanic lake in Southeast Asia. 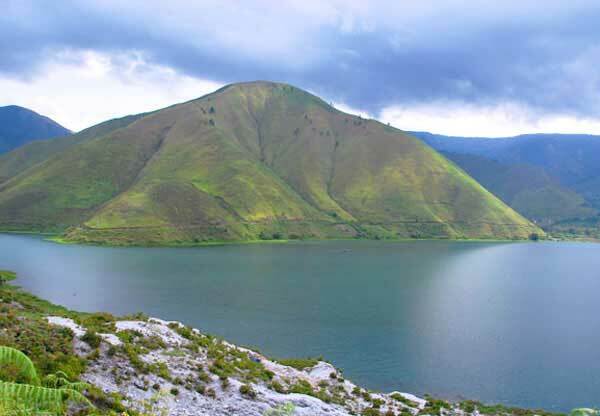 Toba Lake is a tourist place in North Sumatra, the most famous, so no need to worry if you want to stay in Toba Lake because at the side of Toba Lake there are many lodging. 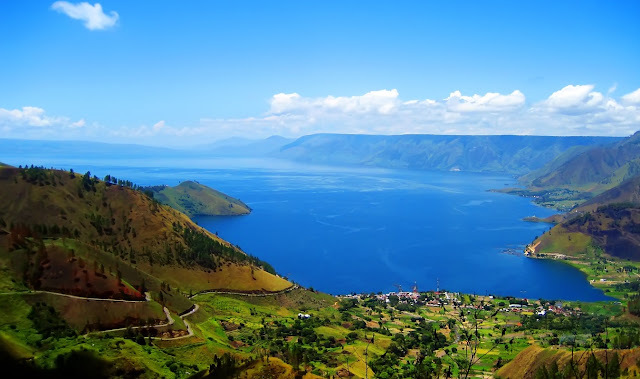 Samosir Island is an island located in the middle of Toba Lake which has an altitude of 1,000 meters above sea level. Travelers can cross over to the island of Samosir by using the ferry boat or by using a landline. At Samosir Island you can enjoy the beautiful natural scenery, enjoy historical tours, cultural tours and culinary of Bataknese, up by visiting the thermal baths. 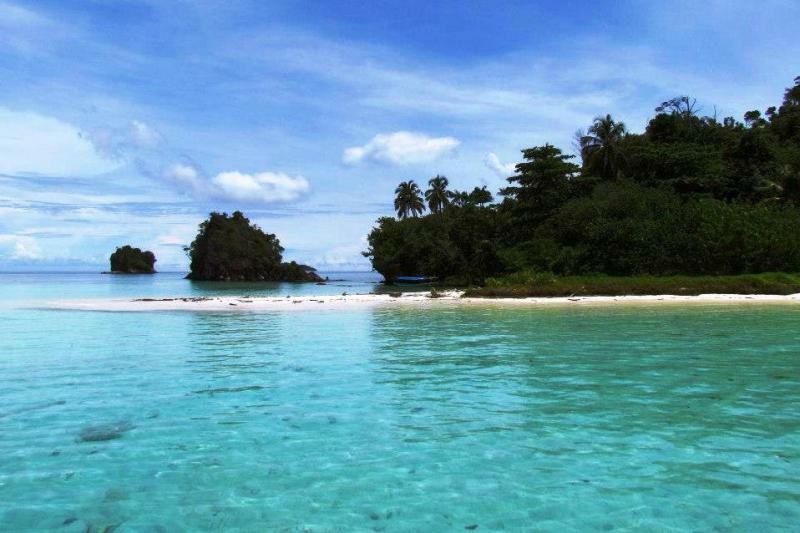 Nias has a worldwide reputation with the charm of the jumping stone and surfing activities. 2 meter high stone wall can be skipped by the local youth so easily. It is a famous Nias attraction which you can find in the Bawomatauo village. Surfing in Nias is one of the best in the world with huge and challenging waves, something that can also be found in Hawaii. Nias Island located in the Indian Ocean on the west of the island of Sumatra. Sitoli Mountain is a city that became one of the central tourism there. You can find the Nias Heritage Museum in the city with 6,500 collections of objects of cultural heritage of Nias Society. Together with Toba Lake, Nias Island is some of the tourist destinations in North Sumatra that is well known in foreign countries. This is Tarutung city landmark, a cross-shaped monument built in the hill of Dolok Siatas Barita in order to honor the service, dedication, and exceptional devotion of Dr. Ludwig Ingwer Nommensen. Nommensen is a missionary origin from Marsch Nordstrand, the North Germany who taught Christianity in the Land of Batak to free Bataknese society from animism and underdevelopment of civilization. At the peak of this Siatas Barita, Nommensen ever tried to be killed by the people of Batak when ritual worship took place to sombaon Siatas Barita, the spirit of nature which was worshipped by the Bataknese. When the spiritual leader (Sibaso) ordered his followers to kill, Nommensen deal with it and said that the spirits are the spirits of demons. After that, Sibaso fell down and did not bother him anymore. 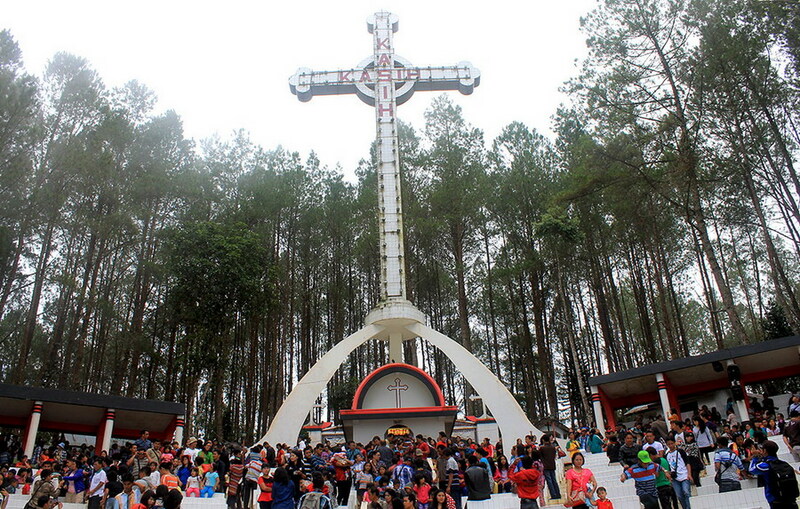 From the position of this cross, you can view the city of Tarutung. There is also an altar and seating with a capacity of 600 people for church service. There are also small houses, called the House of Prayer, a place where tourists can prayers to the Lord. The charm of this tourist attraction is always crowded by the visit of tourists. This is the highest waterfall in Indonesia, elevation of 250 meters and is located in the landscape near the Toba Lake. The cool and airy environment is the character of this tourist destination. The flow of the river from the Sigura-Gura waterfall is often becomes a rafting competition in Indonesia as well as the world with a torrent and rocks contoured. Some popular activities besides rafting are of course camping in the waterfall area. 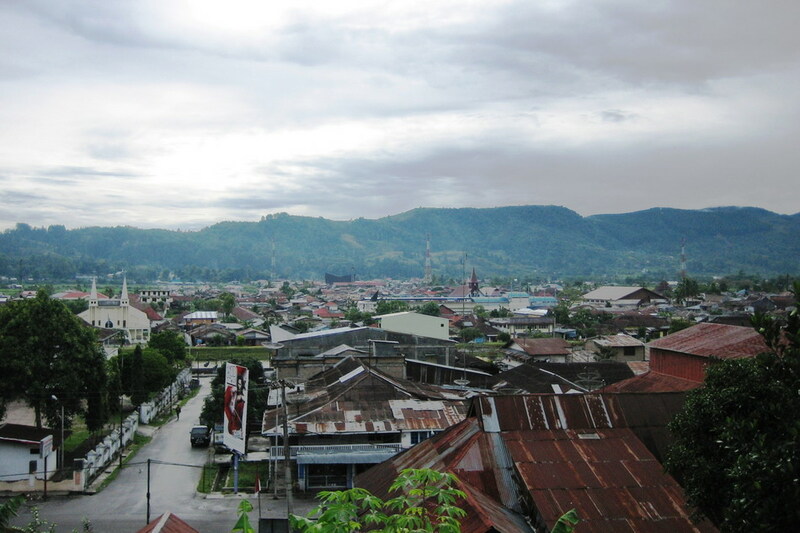 Currently, Tarutung has been renowned as a center of religious tourism in North Sumatra. In this city the center of HKBP Church activity is located. Besides the Love Cross which is another lure landmark, in Tarutung there is also a soda water bathing pool which there are only two in the world besides in Venezuela, which is called Aek Rara Tarutung. Mount Sibayak volcano is still active. The charming attraction of the mountain is a beautiful natural panorama. 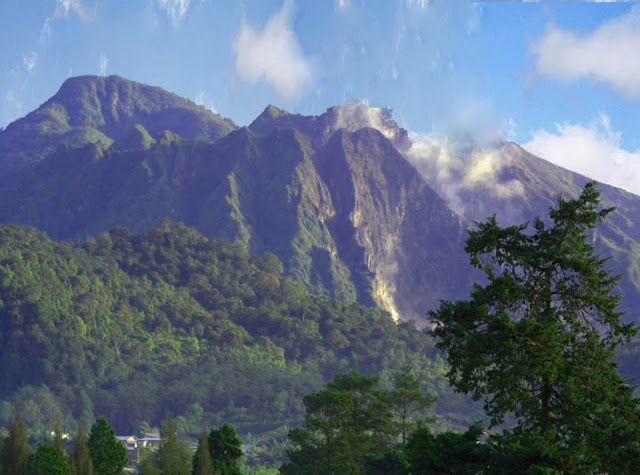 Sibayak Mountain located in Tanah Karo is also called Raja Mountain, is a favorite place for those who want to see the beautiful panorama of the city of Medan and enjoy the sunrise.